Beach living doesn’t have to break the bank. 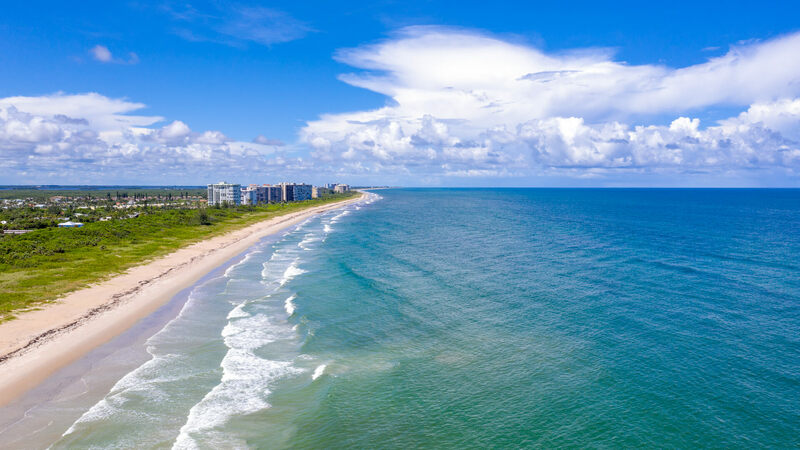 Living by the beach can be expensive, but you can find cheap options across the U.S.
GOBankingRates analyzed the most affordable beach towns with gorgeous views to match. 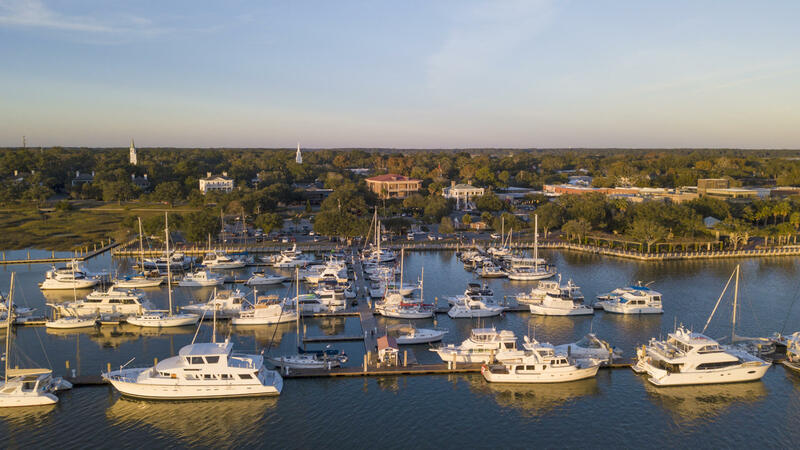 The cities with the most reasonable prices include New London, Connecticut, and Beaufort, South Carolina. Beach season will be here before we know it — which will mean sand in your toes and the ocean spray in your hair. Buying a house by the shore used to be a luxury only few could afford. But with inexpensive options in your favorite beach towns, perhaps there are ways to live in paradise. GOBankingRates determined which gorgeous beach towns you can afford to live in based off of median home listing price, median rent and the cost of living. The median list price in these cities had to be less than or equal to the national median level. These five beach towns offer natural beauty without the high price tag. Florida isn’t the only place boasting incredible beaches. These five coastal cities offer incredible views along with affordable housing prices. New London is a Northeastern seaport city just over 20 minutes from Norwich. The median list price for houses in this town is just $164,300, with a median rent of $1,337. The cost of living is also 3.20% below the U.S. average. The New London school district gets an A rating in both diversity and sports, according to Niche. Though New London is a relatively small town, there are many activities for residents and visitors alike. You can visit Ocean Beach Park, a half-mile boardwalk with an Olympic-size pool, mini golf and a playground for the kids. Check out the Submarine Force Library and Museum as well, which is the only submarine museum operated by the U.S. Navy. There are also a number of places recognized by National Register of Historic Places and Districts to see. For example, the Eolia-Harkness Estate is open to the public and located within the Harkness Memorial State Park adjacent to Ocean Beach Park. Eolia (the mansion) is also available to rent for events such as private parties and weddings. New London also completed a new downtown waterfront park, which offers a variety of festivals. The city of Fort Pierce is known for being a quaint fishing village with a myriad of activities. Part of the Treasure Coast, this town is far cheaper than the beach cities farther south. The median list price is an affordable $210,000, and the median rent is a low $1,260. The cost of living score is 91.5, indicating that Fort Pierce is cheaper than the U.S. average. Downtown Fort Pierce won the 2011 Great American Main Street Award. With events like the Sandy Shoes Seafood & Brew festival and a weekly arts and crafts market, residents will never run out of interesting activities. The Sunrise Theatre offers plenty of entertainment, with touring musicians and Broadway shows packing the 1,200-seat venue. Have you ever wanted to live on the Oregon coast? 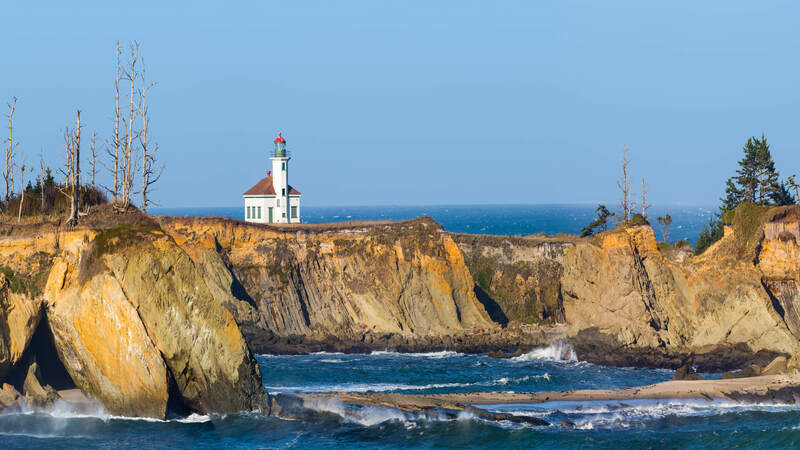 Considered the best natural harbor between San Francisco and the Puget Sound, Coos Bay is a great beach town option for Pacific Northwesterners. This city’s $220,000 median list price is far below Oregon’s median home value of $346,100. Coos Bay’s cost of living is 10% below the national average. If you like outdoor living, Oregon may be the perfect place to find your next home. The Oregon Dunes National Recreation Area is one of the largest stretches of coastal sand dunes in the world. You can hike, camp, picnic and view wildlife here. Mingus Park is also full of spaces for outdoor activities, including an arboretum, pool, skate park and sports fields. Residents should attend the nationally acclaimed Oregon Coast Music Festival in July. 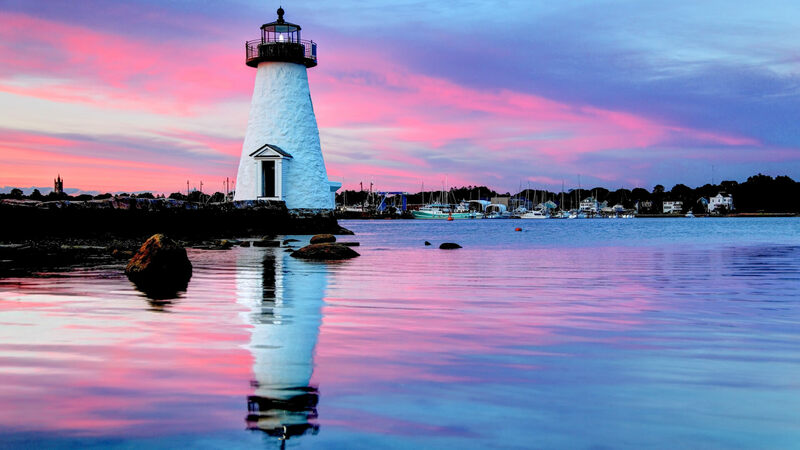 New Bedford is a coastal city rich with maritime history. The cost of living is a bit above that of the U.S., with steep prices for utilities and groceries. However, the median home value for the state is $407,800, making New Bedford’s $229,900 median list price a bargain. Beaufort was rated the nation’s happiest seaside town in 2013 by Coastal Living magazine. Beaufort is a charming and quiet town south of Charleston, with a human history dating back to the 1500s. Beaufort’s median list price is the highest of the five cities at $259,900, with a median rent of $1,450. South Carolina home values have gone up 6.8% in the past year, with beach fans flocking to buy real estate. This town has a beautiful historic district, which the American Planning Association rated as one of the 10 great neighborhoods in the U.S. for 2013. Hunting Island Beach attracts more than a million visitors a year. The lighthouse provides gorgeous views of the Atlantic Ocean — perhaps you can even spot a dolphin. Plus, for seafood lovers, the annual Beaufort Shrimp Fest is in October. Keep reading to see 35 cities where you can afford to live off less than $50,000. 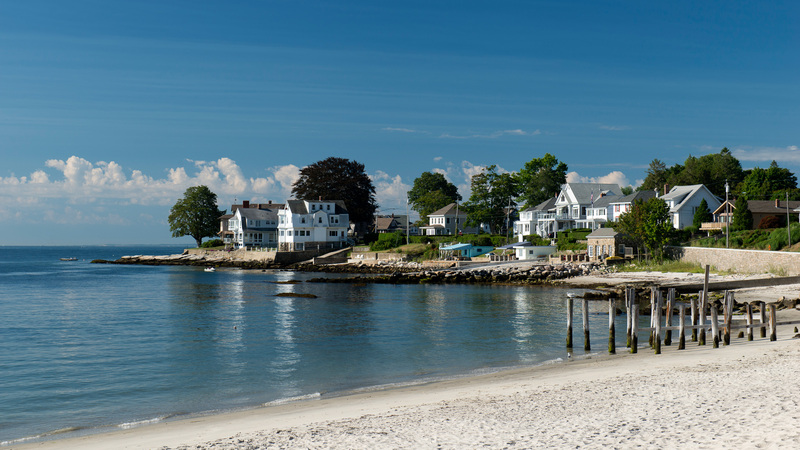 Methodology: GOBankingRates determined the gorgeous beach towns you can afford to live in based on the following criteria: (1) median home listing price, sourced from Zillow’s February 2019 housing index; cities had to have a median list price that was equal to or less than the U.S. median level; (2) median rent, sourced from Zillow’s February 2019 rental index; cities had to have a median rent price that was equal to or less than the U.S. level; (3) cost of living, sourced from Sperling’s Best Places on March 27, 2019; cities’ cost of living must be less than the U.S. average (cost of living index of less than 100), or within 10% above the U.S. average (cost of living index of 110 max).